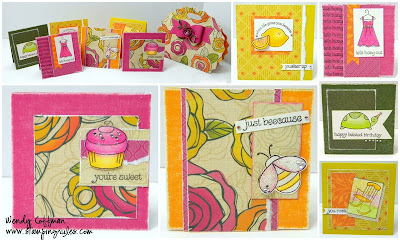 Stamping Rules! : Last call on Volume Three! Last call on Volume Three! Avonlea Family Tree Frame - Artiste flowery goodness broken down into easy steps! 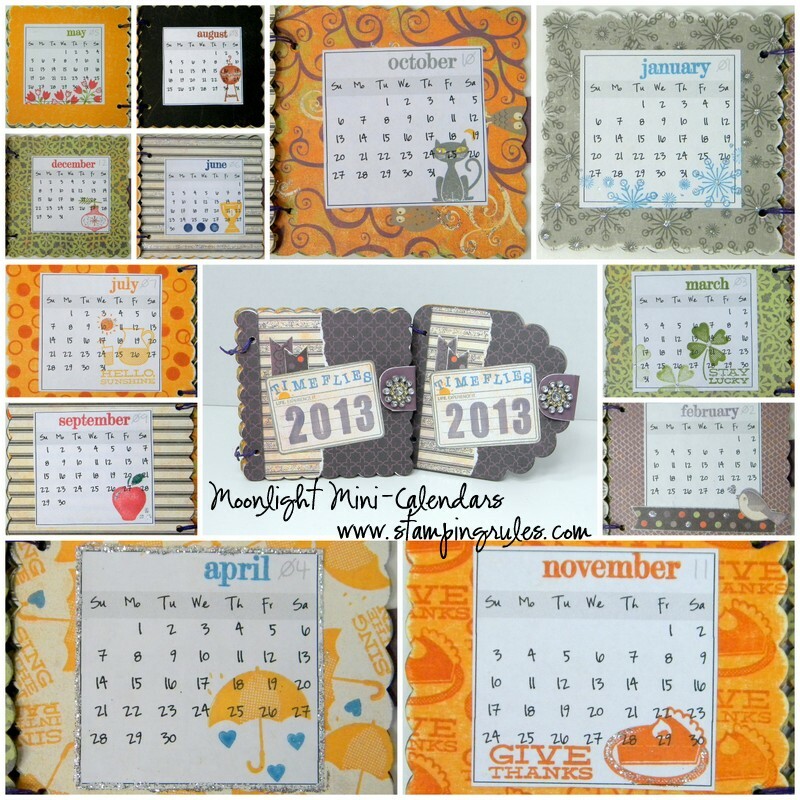 Moonlight Mini Calendars for stocking stuffers! 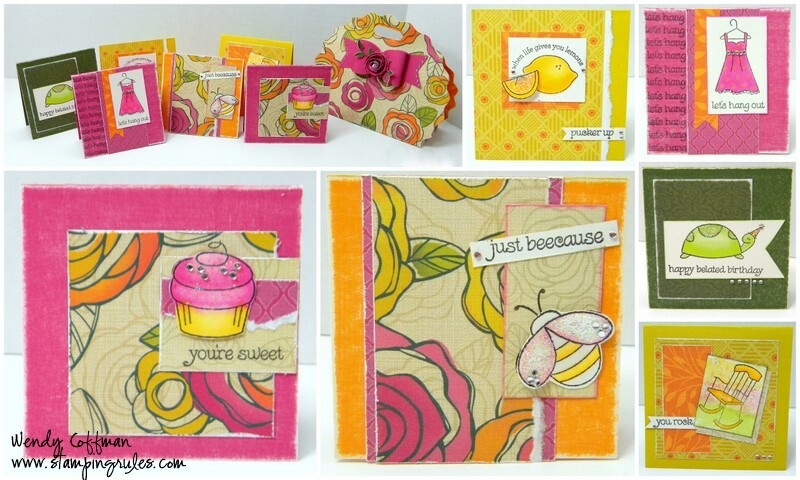 Simple Alcohol Marker tutorial & the cutest stamps around - Pun Fun! 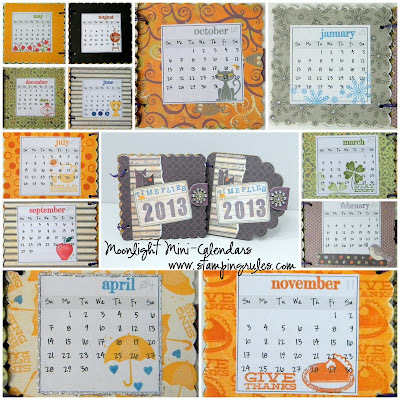 Kits are $9.95 each or three for $25 - a fabulous deal! If you want any of these three kits to teach, please check out the ordering info on my Consultant Kits Page. And, of course, if you are not a consultant, full pre-cut kits for any of these workshops are still available as well. I'll be setting up a better order system for that shortly - stay tuned! Now I'm off to yet another chiro appointment - I've got high hopes to be back in the stamp room this weekend. Happy Thursday and cross your fingers for me!